What’s on the Line at Fest Italia Tomorrow? You are here: Home / Articles / What’s On the Line at Festa Italia Tomorrow? What’s On the Line at Festa Italia Tomorrow? Its been nine years since we were the hated new kids on the block at the Syracuse Italian Fest bocce tournament. In those days half the festival showed up at the bocce courts and rooted for us to lose . . . and we made sure they went home disappointed not just once, but for seven straight years (for more information on the crazy story of the first Italian Fest tournament click HERE and scroll down to Number 7). Last year was the first year that Turbo Bocce competed in the Italian Fest bocce tournament and did not win it. Pretty disappointing considering the year before we managed to take 1st, 2nd, and 3rd place for the first time ever. Once is a fluke. Twice is a pattern. I personally believe that all the best bocce players in Central New York play Turbo Bocce but lets face it, nobody cares what I think, we have to prove it on the court, and the Italian Fest is our chance to leave the Turbo Bocce world and prove to the whole city that we are the best. Losing is not an option. I don’t care if the ghost of Umberto Granaglia shows up, we’ve got to step up our game and win! For inspiration, check out THESE pics of past Italian Fest winners. Look how happy they are, look how much money they have! I know you want to feel like that, so lets go do it! HERE are the tournament details. There are people looking for spare teammates, so if you want to play but don’t have a team, email paul@turbobocce.com. Okay, so this tournament is a big one for us as a league because we need to establish our dominance again, but its also big for a certain individual player in our league. 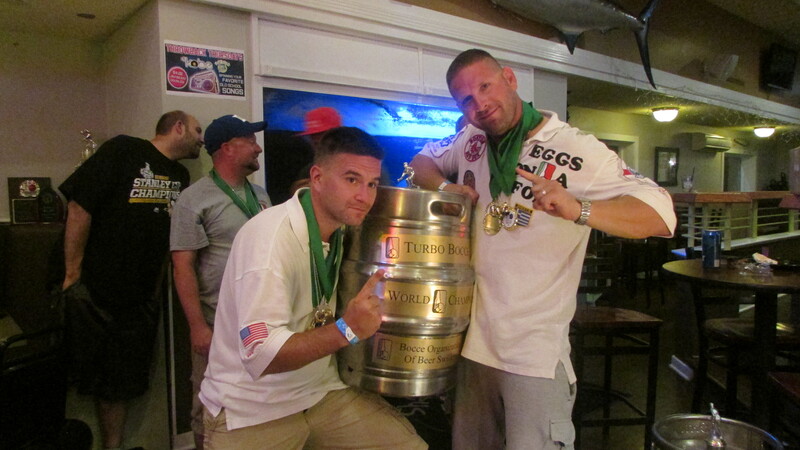 The Turbo Bocce triple crown consists of the one-on-one tournament, the Turbo Bocce championship, and the Italian Fest. Nobody has ever won all three in the same year so we keep point totals for each. 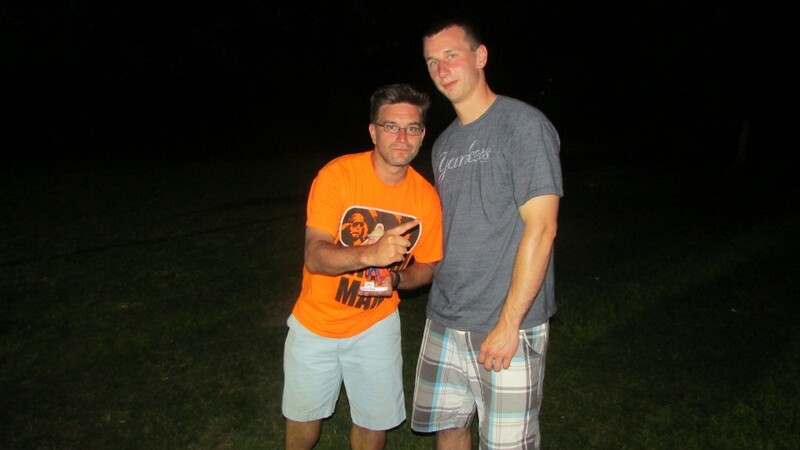 Phil Martino won the one on one tournament AND the Turbo Bocce championship. If he wins the Italian Fest he will complete the first ever Turbo Bocce triple crown! If you happen to be on his team I’m sure its very important that you help him achieve this great feat. For everybody else, wouldn’t it be fun to crush his dreams? You know it would. If nothing else this should be an exciting Italian Fest because this time, maybe more than any time since the first, it matters!